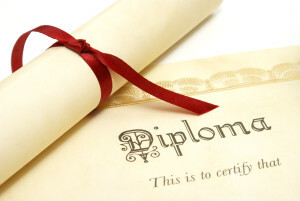 Are you considering earning a degree in business? Business administration and related subjects, such as finance, accounting, economics, marketing and management, are among the most common areas of study at colleges and universities worldwide and offer many benefits. Read on to learn about more these advantages from Omar Yunes. Salary. Though money may not be your main reason for pursuing a business degree, you’ll be glad to know that business graduates earn relatively high salaries. According to the U.S. Department of Labor, the average annual salary for business occupations is $65,710, which is nearly $30,000 more than the average annual wage for all occupations. And, depending on which route you choose to go with your business degree, you have the potential to earn much more. For instance, the average yearly salary for a business operations manager was $97,270 in 2014. Versatility. The career opportunities you can pursue with a business degree are endless. Even those with a more specific business-related degree, like finance or marketing, have a variety of employment options. For instance, a business graduate with a concentration in marketing can pursue a career in advertising, marketing, public relations, sales, market research or customer service. In addition, you can also choose to start you own business or work for a global corporation, government agency, non-profit, or startup. Demand. Business graduates have solid skills and knowledge that are always going to be in high demand. According to the National Association of Colleges and Employers, business graduates are the most in demand among employers recruiting bachelor’s degree graduates from this year’s graduating class. The report found nearly 70% of responding employers plan on hiring business graduates, with the top four majors in demand being accounting, finance and business administration/management. As you can see, there are many reasons to pursue a degree in business. With a business degree, you’ll have a variety of career opportunities, as well as enjoy a good salary and job security.